Be part of the Accreditation team at #CWC19. Duration: The Venue Accreditation Centre (VAC) will open 10 days before the venue’s first match. After that first match the VAC will open 2 days prior to the match day and the match day itself. Volunteers in the Accreditation team will not be required for every day the VAC is open, however anyone with more availability across the tournament would be best suited for this role. The Role: The accreditation team form part of the security team, working together to ensure the safety and security of those participating and attending the tournament. Accreditation volunteers will produce & distribute an estimated total of 30,000 accreditation passes to individuals across the tournament. 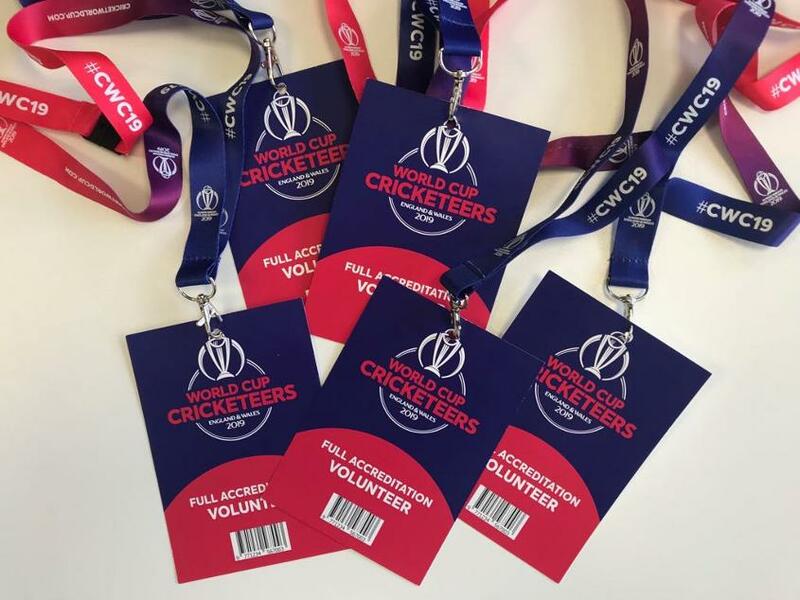 Volunteers in the accreditation team will carry out a variety of roles including issue resolution for any accreditation challenges, supporting access control on venue such as access to accredited spaces including the field of play, media centre or the players and match official area. Accreditation volunteers will also be required to carry out identification checks when distributing accreditation. If you are an outgoing individual, flourish working in a team, and have a strong customer service approach to working with different people, then this is the role for you!